Festivals Vories Sweets Flowers Nanshuji History Japanese and Christianity Torai-jin Hankai Trams Toyosato-cho Kumano Road Art Christmas Gardens Architecture Food Information Animals Event K-ON! 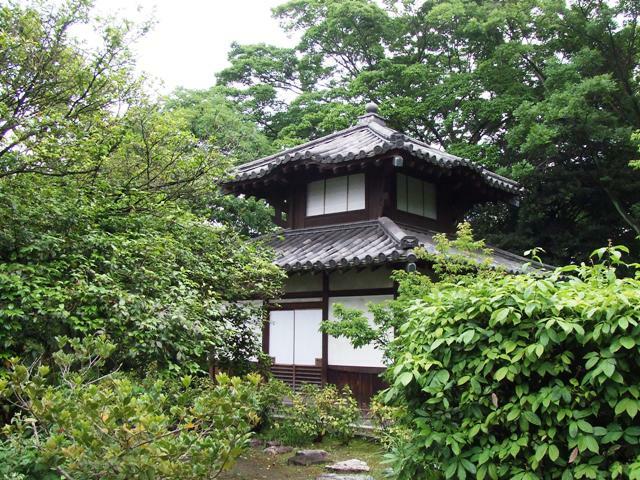 When Rikyu lived, in Japan, Catholic missionaries like, Fransisco Xavier, and Luis Frois from the Society of Jesus stayed in Japan, and were preaching. There must have been a lot of believers in those days. In 1612, Christianity got banned by Tokugawa Shogunate and it lasted until 1873. There were severe punishments if they were found that they were Christians, so those people concealed as crypto-Christians and disguised as Buddhists. 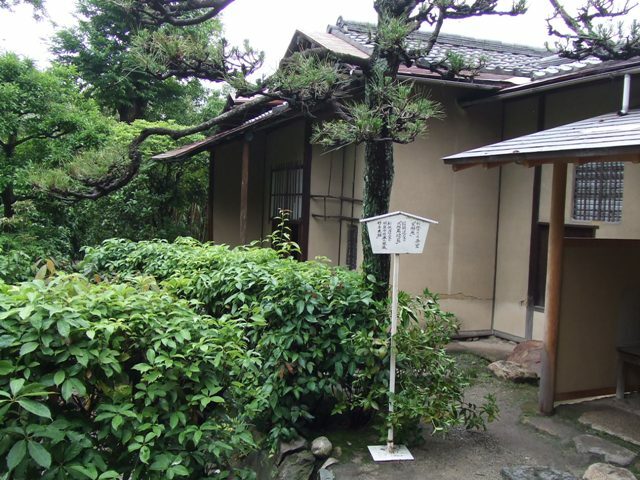 Beside the tea room, over the bush, there are tombs and lanterns. 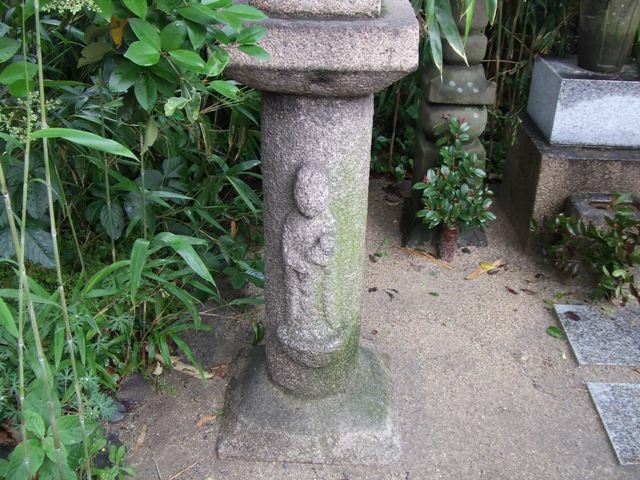 Some people say this carving is Mary and Baby Jesus because there are no Buddhist statues with a baby. However, Nanshuji denies it. 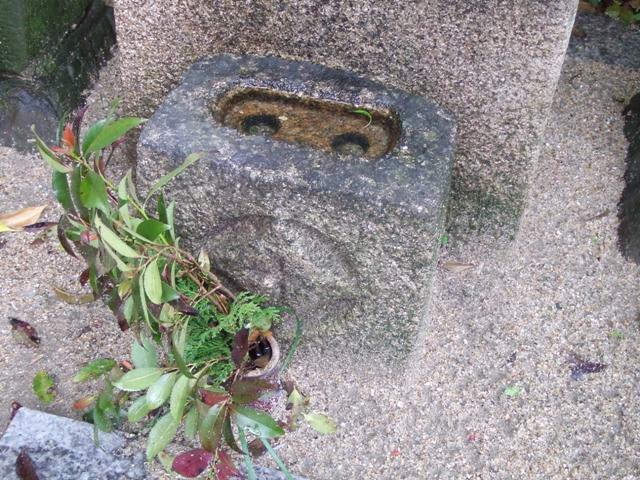 Looks like a cross is carved. 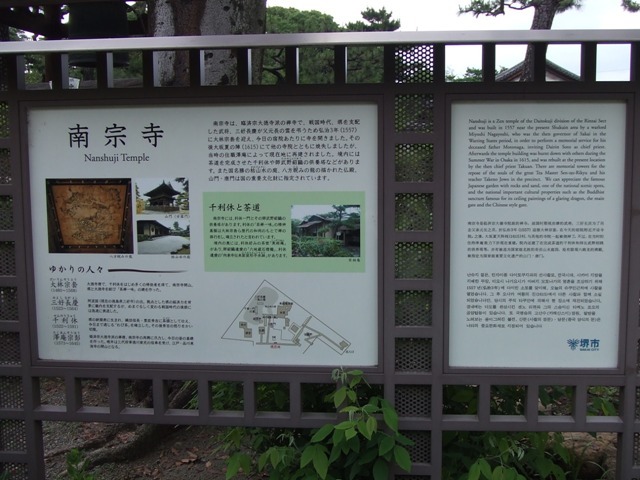 There is Tokugawa Ieyasu’s “legendary” tomb in Nanshuji. Tokugawa Tokugawa Ieyasu is the first Shogun of Edo Shogunate. 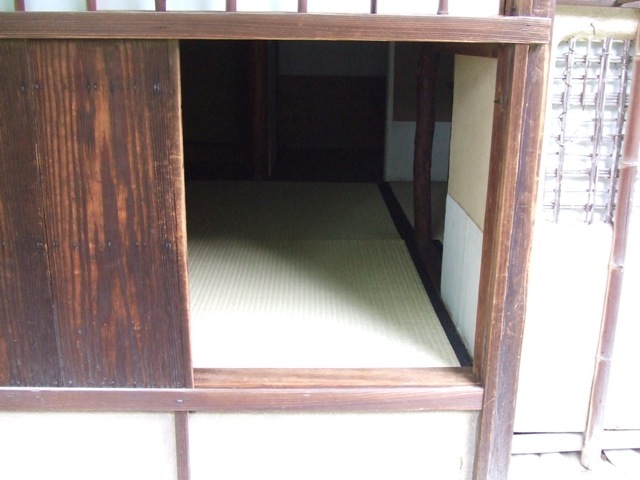 He had been Shogun from 1603 to 1605. 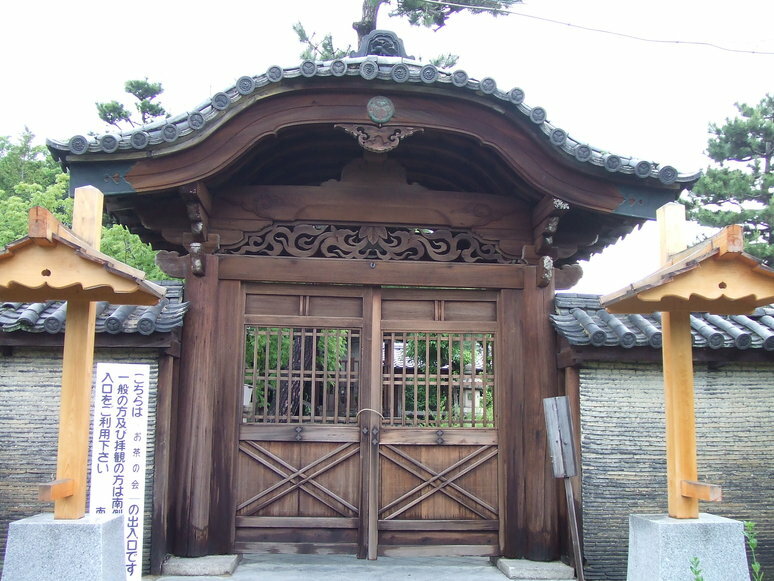 The reason I stated “legendary” is that he died and was buried in Sunpu, now it is Shizuoka City, and later, his tomb was moved to Toshogu in Nikko, according to mainstream historical record. 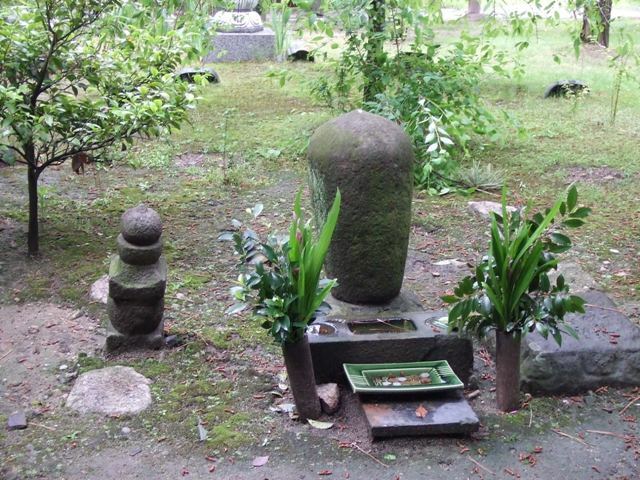 Actually, there are several tombs that the local people at each place say the one in their place is Tokugawa Ieyasu’s tomb. Interestingly enough, there was Toshogu, the same name as Nikko Toshogu, inside of Nashuji Temple precinct, was burnt down by World War II. 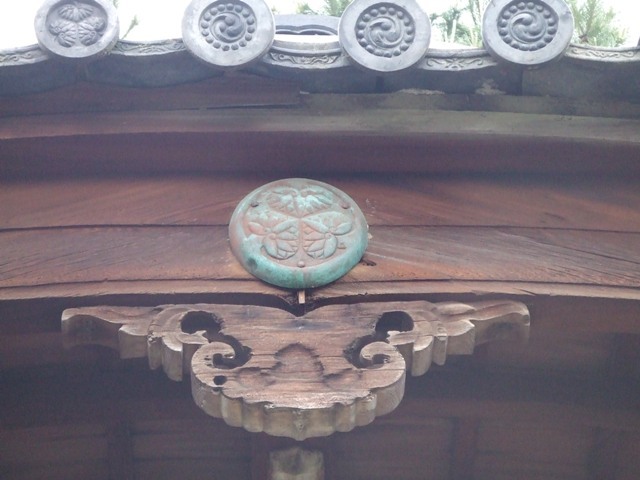 There is Tomon, which means a Chinese style gate, that has the wild ginger trefoil coat of arms of the Tokugawa clan. 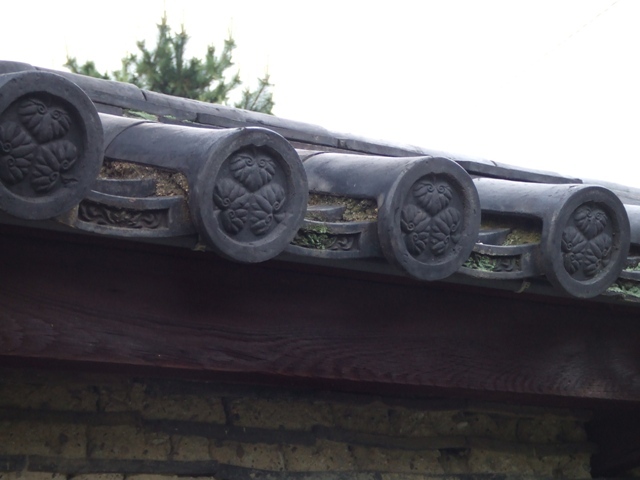 Tokugawa family’s crest, the wild ginger trefoil coat of arms of the Takugawa clan. It is true that Osaka Summer war broke out in 1614, and Ieyasu fought in Osaka. He probably hid in Nanshuji at some point of the war. 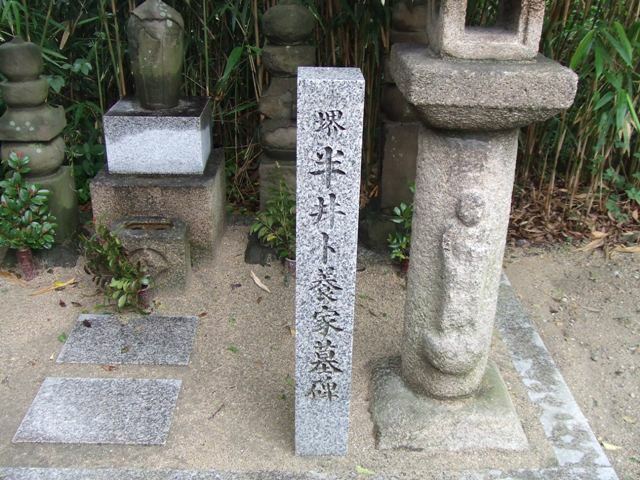 According to the legendary anecdote, Ieyasu was killed in Osaka and was buried in Nanshuji during the Osaka Summer War. The one who died in Sumpu in 1616 was his doubl, generally called “Kagemusha” in Japanese. Ieyasu’s memorial stone built at the same place where Toshogu used to be, which says "Toshogu, Tokugawa Ieyasu's tomb"
Anyway, it is certain that this temple has strong bond with Takugawa clan, but it is not sure whether the tomb in Nanshuji is Ieyasu’s or not. 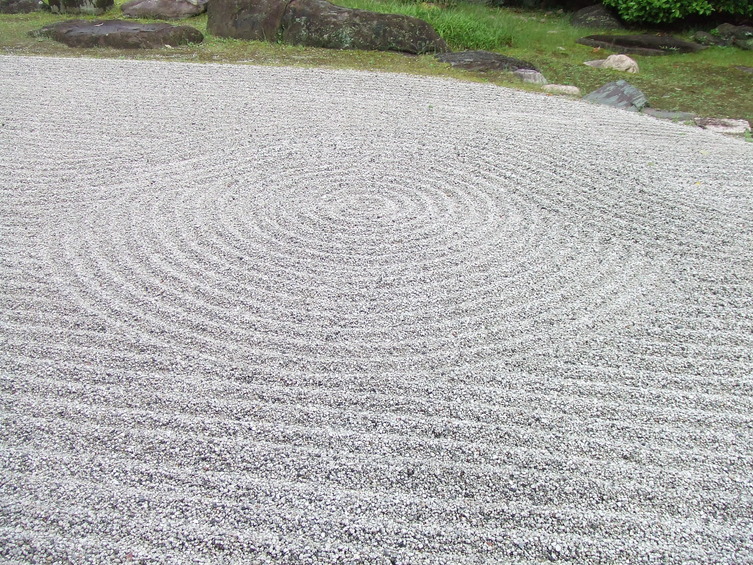 Nanshuji has a beautiful zen rock garden. 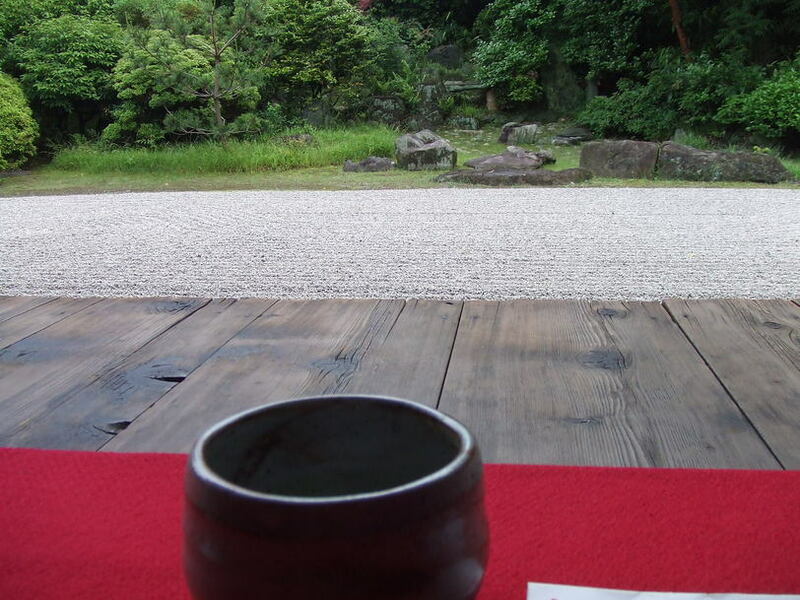 Tea and sweat was served only during the special exhibition time. During the special exhibition of Sen no Rikyu, I was able to visit Nanshuji. The weather these days is very strange, and it rained a lot just before I visited. The month of May is supposed to have a lot of clear and fine days, but it was raining until the time I visited. Luckily, it stopped raining when I get there! 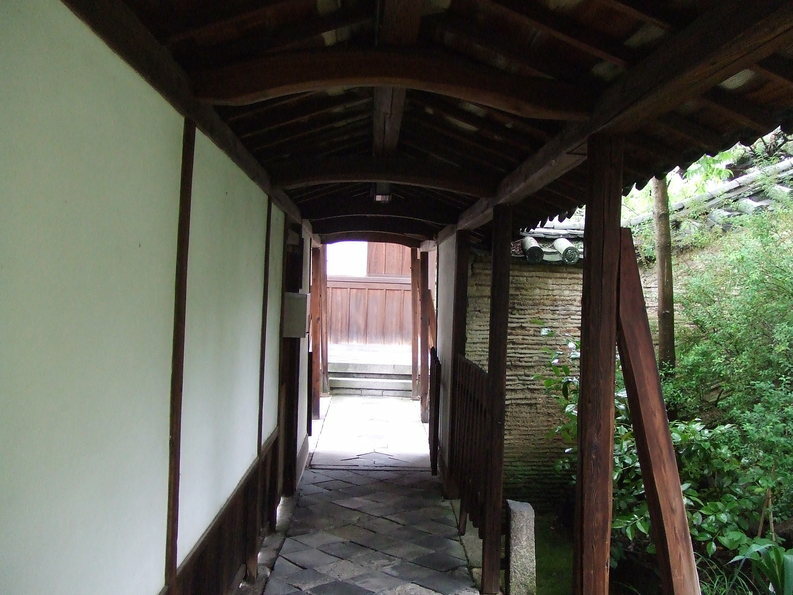 Despite the damage of World War II in Osaka, some buildings in Nashuji remain. Serine and old atmosphere is still here. No more war, please! 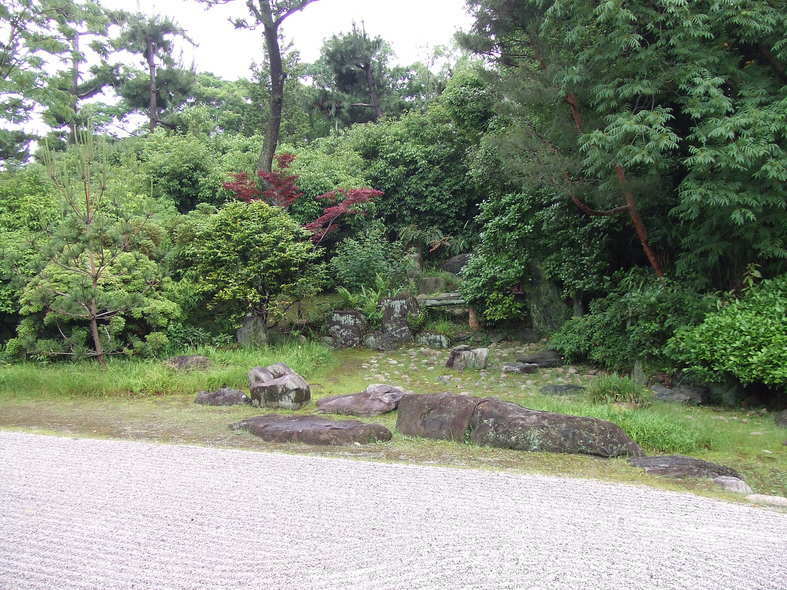 "Nanshuji is a Zen temple of the Daitokuji division of the Rinzai Sect and was built in 1557 near the present Shukuin area by a warlord Miyoshi Nagayoshi, who was the then governor of Sakai in the Warring States period, in order to perform a memorial service for his deceased father Motonaga, inviting Dairin Soto as a chief priest. 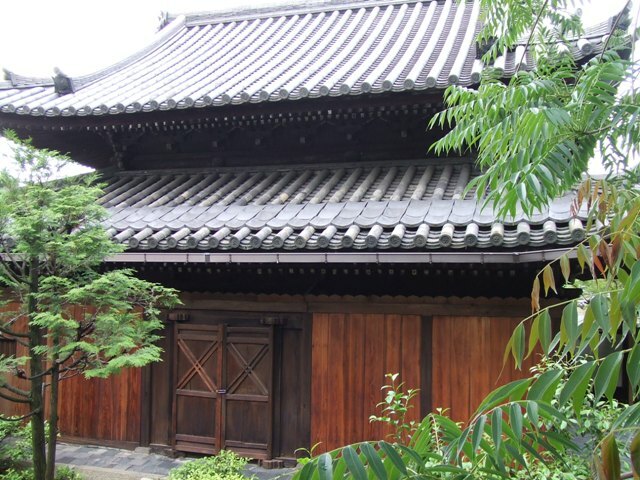 Afterwards the temple building was burnt down with others during the Summer War in Osaka in 1615, and was rebuilt at the present location by the then chief priest Takuan. 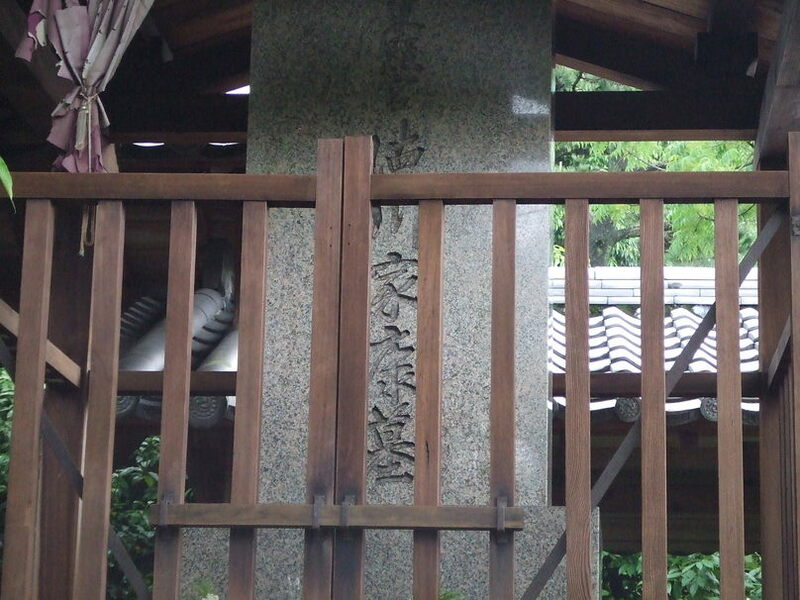 There are memorial towers for the repose of the souls of the great Tea Master Sen-no-Rikyu and his teacher Takeno Jowo in the precinct. 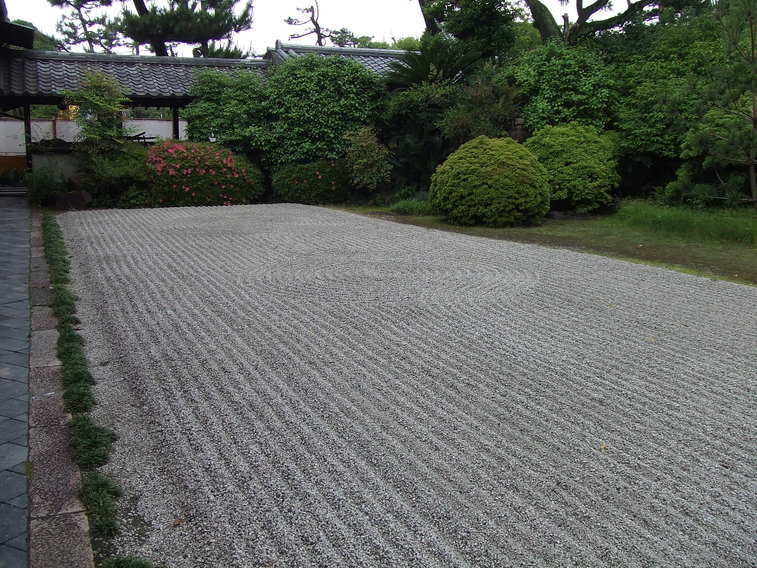 We can appreciate the famous Japanese garden with rocks and sand, one of the national scenic spots, and the national important cultural properties such as the Buddhist samctum famous for its ceiling paintings of a glaring dragon, the main gate and the Chainese style gate." 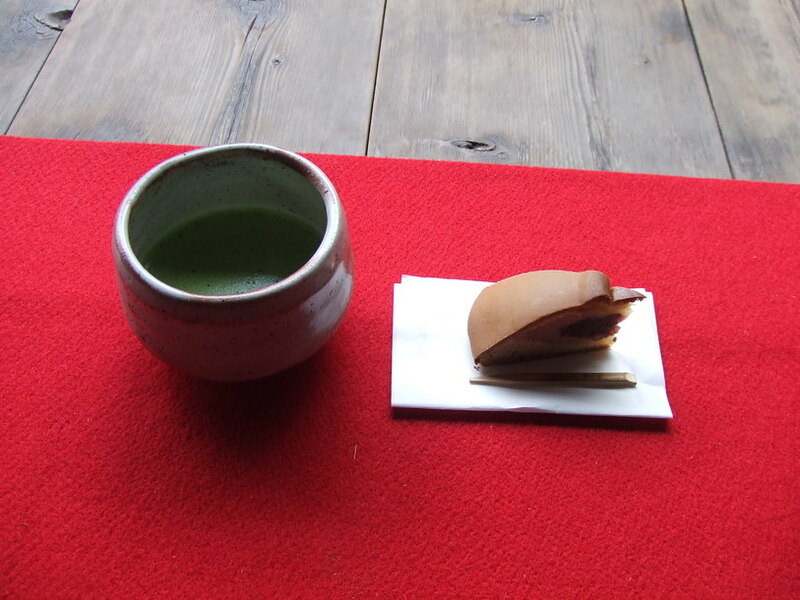 Special exhibition was over, but Nanshuji is open everyday from 9:00 a.m. to 4:00 p.m. Admission is 400 yen for an adult. It's just a few minutes walk from Goryomae Station of Hankai Line in Sakai City.